The games between Palo Alto High School and Los Gatos High School teams are usually competitive and close, a reputation in which Friday’s game between the Palo Alto Vikings (8-5, 8-2) and the Los Gatos Wildcats (10-1, 10-1) certainly lived up to. Anticipation stirred through the bleachers, bursting with excited Paly fans. Tonight was comeback time. 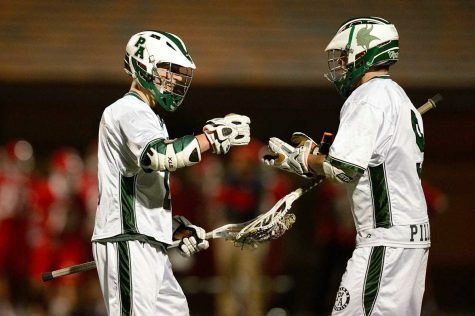 The Vikings ultimately fell to the Wildcats in overtime, 7-6, however, Palo Alto played a solid game of lacrosse. Both teams came out sluggish in the first half, with Los Gatos nursing a measly, 1-0, advantage heading into the break. 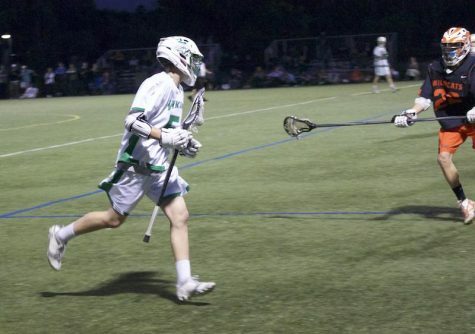 Although the first half was slow for Paly, the team still felt they played with energy and aggression. 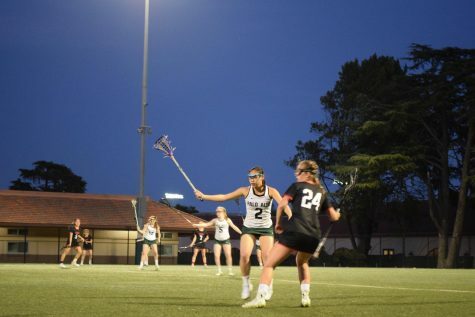 “Going into the game we wanted to prove that we were still the best team in the league, and so that really motivated to play hard for the full 50 minutes,” junior midfielder Ellen Goncher said. 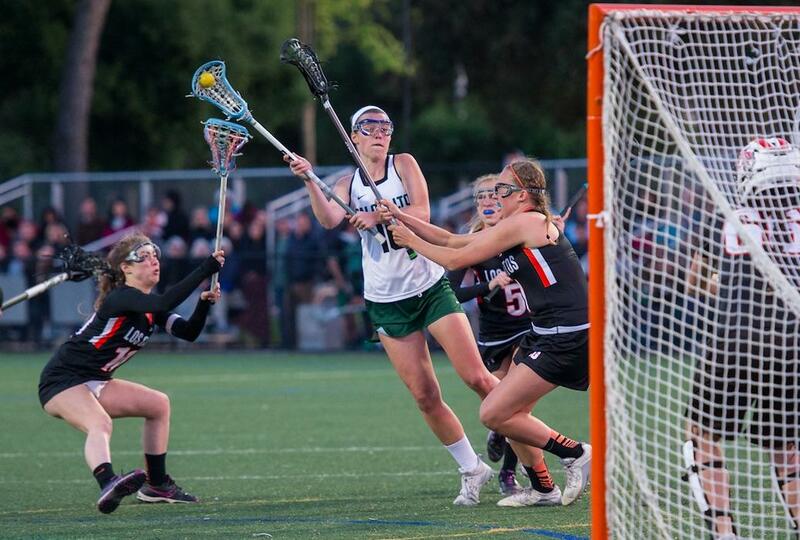 Something clicked for the Vikings in the second half, who, despite dominating time of possession in the first half, were unable to get any good looks on cage. Palo Alto scored back to back goals to take the lead, but Los Gatos answered quickly to tie the game up again. According to Goncher, the Vikes were able to come out with even more motivation to start the second half. The two sides swapped goals during the tail end of the second half until sophomore Abby Ramsey scored her second goal of the game to give the Vikings a 6-5 advantage with just under five minutes to play. However, the Wildcats answered back with under two minutes to go, tying the game up at six apiece. Both teams were anxious to score. Play got sloppier in the last few minutes, as the players were energized, but there was constant movement and passing, along with lots of communication. They desperately tried to notch a game-winning goal in the final seconds, but neither were able to do so, and the teams were forced into a sudden death overtime period. 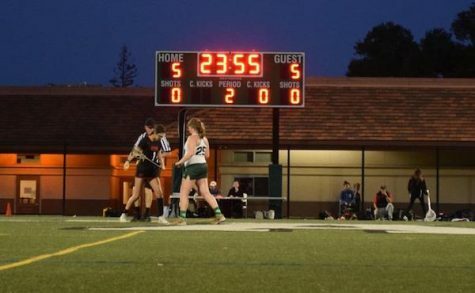 Palo Alto won the draw in overtime but was unable to convert their possession into a goal. On the next possession, the Wildcats found a player cutting on the crease for a goal, winning the game 7-6. 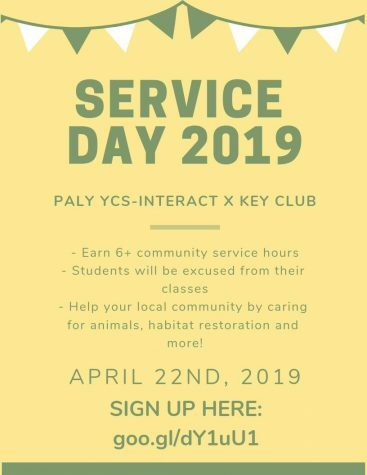 The loss is a tough one for Paly, who now sit one game back of first place in the Santa Clara Valley Athletic League, but the team still believes there are positives to take away from the game. Regardless of the result, head coach Jamie Nesbitt was still proud of the team. “I loved the effort, I loved the hustle, and they played together as a team,” Nesbitt said. 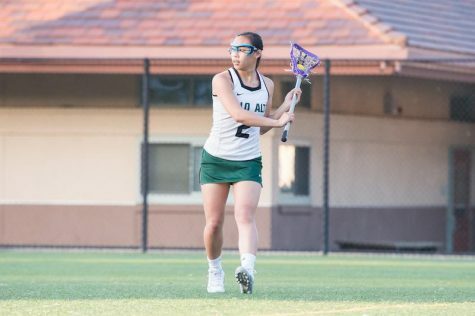 Despite a discouraging week, the reigning SCVAL champions will face the Leland Chargers (5-8, 4-6) in an important league game this coming Tuesday on the lacrosse field at 7 p.m. This article was written with contributions from Maya Wilson.